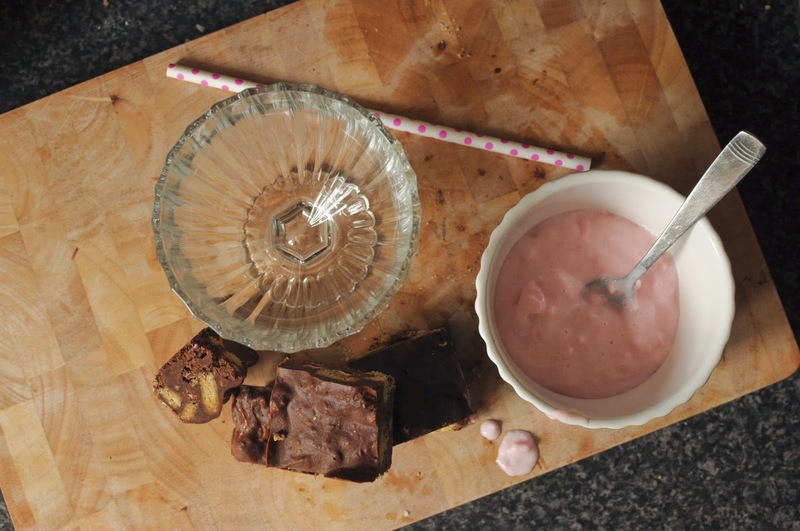 Angel Delight is a complete guilty pleasure of mine. There's nothing better than whipping up a batch and eating it whilst watching great TV. 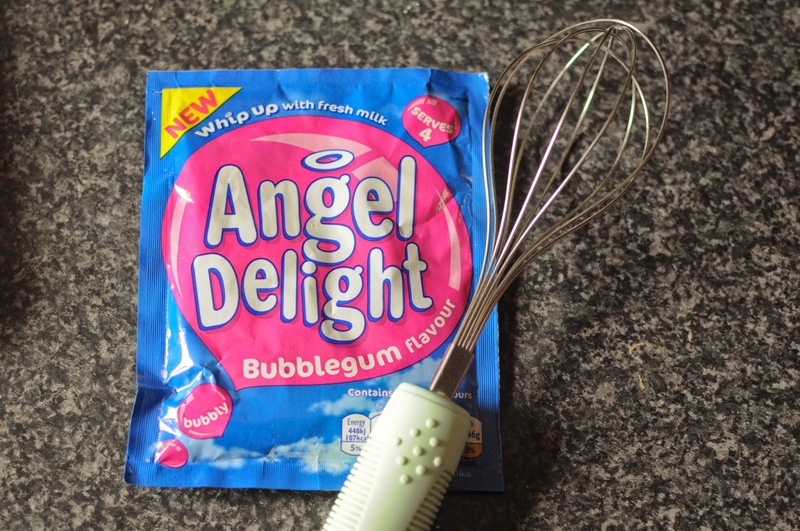 So when I heard there was a new flavour of Angel Delight (bubblegum if you wanted to know) I jumped at the chance to try it and come up with a great household favourite recipe. 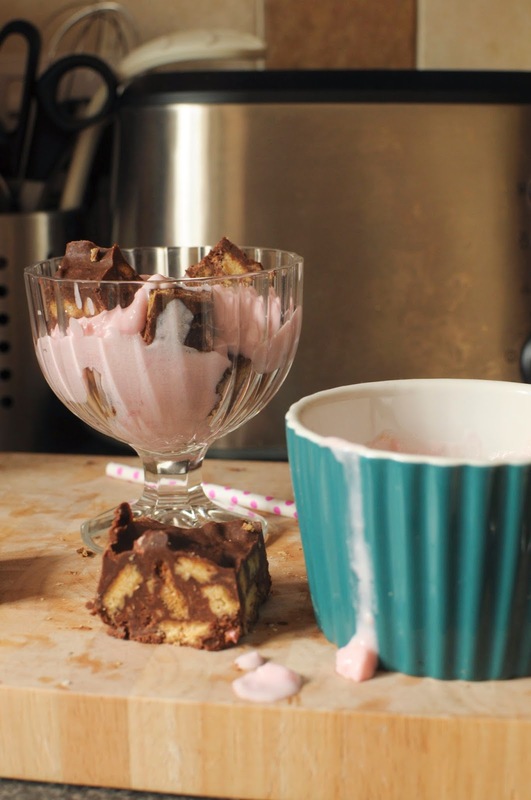 Rocky Road Angel Delight Sundaes. First you want to make up the Rocky Road as it takes the longest to set. 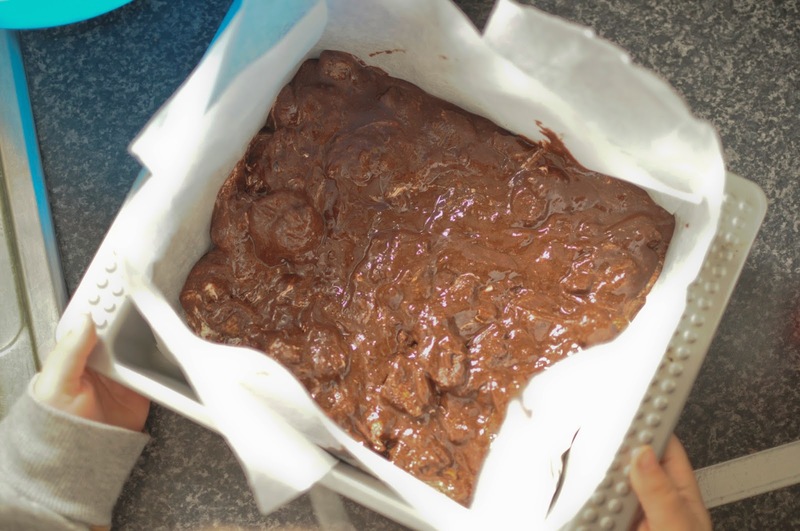 You want to make sure you have a lined pan to pour the mixture in and enough room in the fridge for it to set. Melt the chocolate, butter and syrup in a saucepan until it's smooth and gorgeous smelling. Break in the biscuits and slowly fold together. Do the same with the marshmallows. 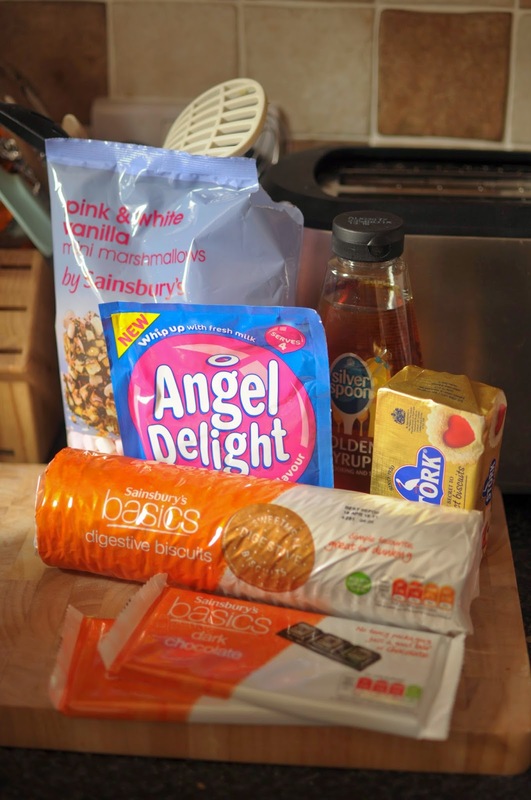 You can add other things in such as raisins, chopped nuts or other bits of fruit. We've even added a handful of rice krispies before but we thought we would keep this fairly plain because of all the flavours. In another bowl you need to mix up the Angel Delight. 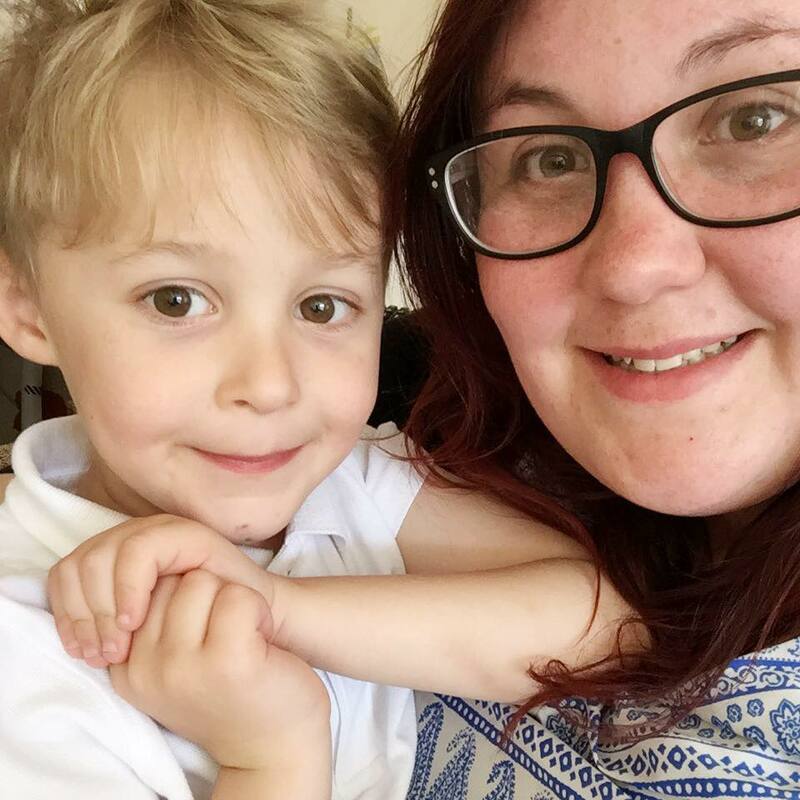 It's as easy as pouring the milk in with the powder and whisking until it's lump free. Then you pop it in the fridge until it's set, which normally takes a few hours. The smells coming from our kitchen were amazing! Finally the time comes to serve it. 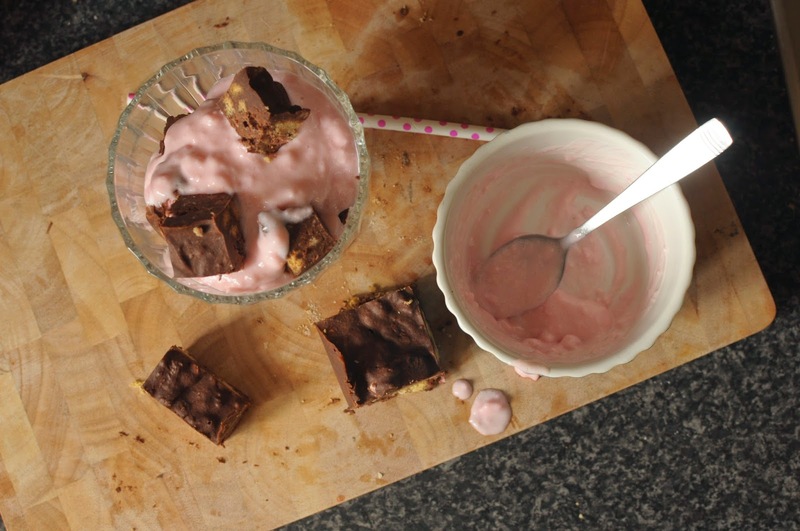 Chop up small amounts of rocky road and layer with spoons of Angel Delight. The flavours are gorgeous together and it's a nice change from an ice cream sundae when the weather is turning a bit colder. This is definitely one of Max's favourite dishes. So much so that this is the second time that we have made it in a fortnight.